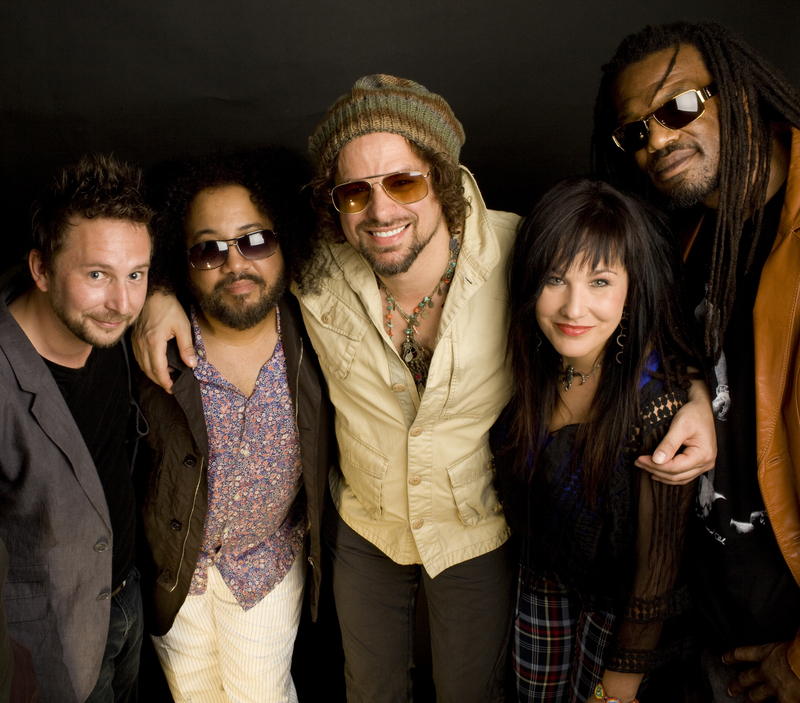 With seven studio albums under their belt, over three million records sold worldwide, and countless nights on the road, Rusted Root will make their debut appearance at the Narrows Center for the Arts in Fall River, Mass., on Friday, Oct. 10, 2014 at 8 p.m. Tickets are available online by clicking HERE. Formed in the early 90’s by singer/guitarist Michael Glabicki, Rusted Root’s worldly style quickly charmed fans of roots music and world rock. After debuting in 1992 with the self-released Cruel Sun, Rusted Root signed with Mercury Records and released the 1994 platinum selling breakthrough When I Woke, which featured the massive hits “Send Me On My Way,” “Ecstasy,” and “Martyr.” Their success allowed the band to tour with Santana, The Grateful Dead, Dave Matthews Band, The Allman Brothers Band, and perhaps most notably, the highly coveted support role on the landmark Jimmy Page/Robert Plant reunion tour. In 1996, the hard-touring Rusted Root returned with Remember, which was followed by Rusted Root (1998), Welcome To My Party (2002), Rusted Root Live (2004), Stereo Rodeo (2009) and The Movement (2012). Along the way, Rusted Root has also issued three EPs, a home video and had songs placed in film and TV soundtracks such as Twister, Mathilda, Home For the Holidays, Party of Five, Charmed, Homicide, and Ice Age. What was indubitably a first for Rusted Root was that NASA engineers chose “Send Me On My Way” as “wake-up” music for the Mars Exploration Rover Opportunity, for Sol 21. “Send Me On My Way” was also used in a set of Enterprise Rental Car commercials in 2011 and 2012. The band is currently in the studio recording a new album that will be released in 2015, marking the group’s 25th anniversary year. In the meantime, they are looking forward to their performance on Oct. 10th. The Narrows Center for the Arts is located at 16 Anawan Street in Fall River, Mass. Tickets are available online by clicking HERE or by calling the box office at 508-324-1926.